While on a family vacation at our favourite beach in Southampton when the kids were little, I found a tiny yet beautiful piece of blue beach glass. My oldest son declared it to be good luck. From that day forward every time a piece of blue beach glass came to be found, we would celebrate our good luck. The summer of 2016 happened to be a tough one with a multitude of challenges. To say it sucked would be an understatement. I had been to the beautiful Huron beaches a few times and was frankly, getting a little desperate to find a small piece of proof in the form of blue beach glass that I would be okay. Late autumn, after a series of losses that year I went to my favourite spot in Southampton, I hadn’t felt that emotionally shaken since I was a kid and I needed the comfort of a happy familiar place. I was pretty much begging God, the universe, Jebus, Buddha, anyone who had some time for me to show me that elusive piece of blue beach glass. I was crying by the time I was leaving the beach after giving up. Along came an adorable wee dog and her human was close behind. I stopped to pet the dog, and while I did, her mum and I had a lovely conversation about nothing, the way strangers do and parted ways. As an afterthought, she called out to me and asked what I had been looking for, I told her. She invited me to come by her house in twenty minutes and gave me her address. Emotionally spent, I was going to head home, but I felt some urgency to go to her house. There on her porch was this beautiful piece of glass she had found on the beach that summer. It was at that moment with that big beautiful chunk of blue glass in my hands that clarity came, we are here for a purpose, and sometimes that means not doing it alone, and when we ask for help, it comes in ways we may not have expected it to. 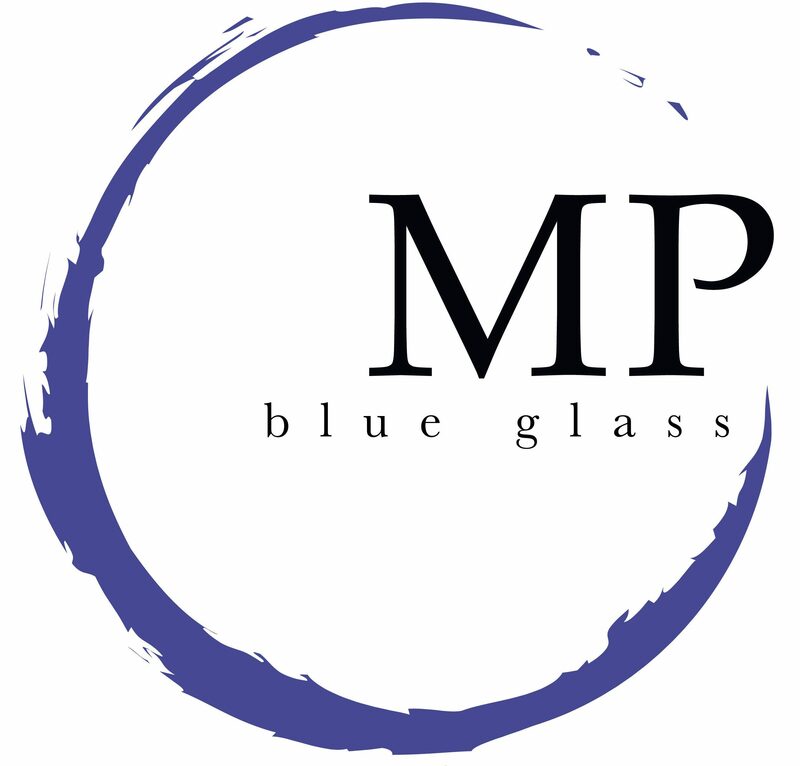 The Blue Glass branding stands for faith and trust that we do find what we are looking for and quite often, it is bigger and better than anything we could have imagined.